Specifying Fire Curtains: over-complicate things at your peril! Fire curtains: what they do. As an alternative to bulky fire shutters or doors, a fire curtain is designed to seal off an opening between two areas, deploying when there is a fire to prevent that fire from spreading from one area to another. It operates automatically when connected to a suitable control system and when it has been installed and commissioned correctly. Specifying: why level of integrity should come first. With the above in mind, arguably the most important aspect of specifying a fire curtain is deciding what level of integrity is actually required to maintain compartmentation between the two areas to be protected. So, the critical consideration should be, does the fire curtain need to provide 30, 60, 120 or 180 minutes integrity? After specifying the correct level of integrity, other aspects of the curtain’s application need to be considered, for example proximity to escape routes. Further ancillary features can be then developed to meet the specific requirements of the application. The issue with many specifications… Frequently we see specifications for fire curtains several pages long with a bewildering array of specialist features, control functions, ancillary items and references to standards and guides which aren’t necessarily required for the application and include absolutely no mention of the most important issue of all – what level of integrity is required? …with potentially costly consequences. Ignoring integrity and over-specifying products could potentially increase both capital expenditure and long term facilities management costs. 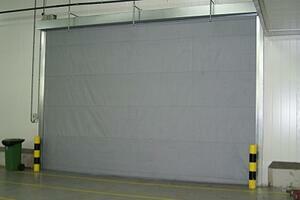 For example, a fire curtain with a 180 minute integrity would not be necessary in a 60 minute compartment wall.